The Boston Celtics survived their 2nd back to back in a week, to outlast the New Orleans Hornets 94 - 82. On a night that James Posey received his World Championship ring, Boston fought poor shooting and foul trouble to bring the team to the best start in franchise history (22 -2 ). Milan Lucic and Phil Kessel continued their torrid scoring pace, helping to net a 4 goal lead, to blast the Atlanta Thrashers 7 - 4. Boston trails only the San Jose Sharks (Hello Mr Thornton, 48 Points) in points with 44. Kessel is in the midst of a 14 game point streak and is now the NHL's 3 leading goal scorer with 18. 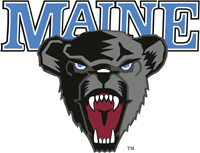 Maine Black Bear Hockey Coach Tim Whitehead shuffled his lines a little, leading the Black Bears to a 3 - 1 win over Union at Alfond Arena. The Lewiston MAINEiacs fell to the Rouyn-Noranda Huskies 5-1 on Friday night at the Androscoggin Bank Colisee. 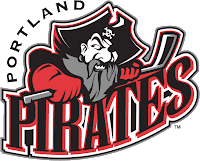 The Portland Pirates dropped a hard fought battle to the Binghamton Senators 2 -1.